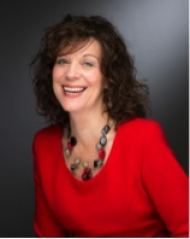 Caroline Wolf is the managing owner of Crossing Borders Coaching & Consultancy Ltd., and works as a Professional Certified Coach accredited through the International Coach Federation. She works with senior executives as a coach and thinking partner to explore possibilities, challenge the status quo, and maximise business outcomes. She also works as a group business coach to create high performing teams. Past and present clients include Accenture, Diageo Germany, KPMG LLP Europe, Thames Reach, The Challenge, and Verbatim, Germany. Caroline also co-runs Capsule Wardrobes Ltd (www.capsule-wardrobes.co.uk), an executive styling service for business women. How you present yourself including the way you dress is vital for creating a strong personal brand. Caroline creates synergy between the nature of her clients and their career aspirations and lifestyle. Caroline’s background lies in communications: Saatchi & Saatchi and a Director of Publicis UK. She was also Head of Marketing and Advertising at Dickins & Jones (Harrods) Ltd with group responsibility at Harrods and House of Fraser. She speaks and works in English and German. TetraMap is as humble and flexible as nature. It offers the art of the possible, where diversity is a strength and a catalyst to create new horizons and outstanding results. The exciting part about TetraMap is its versatility and play factor, which encourage us to use it more and more.